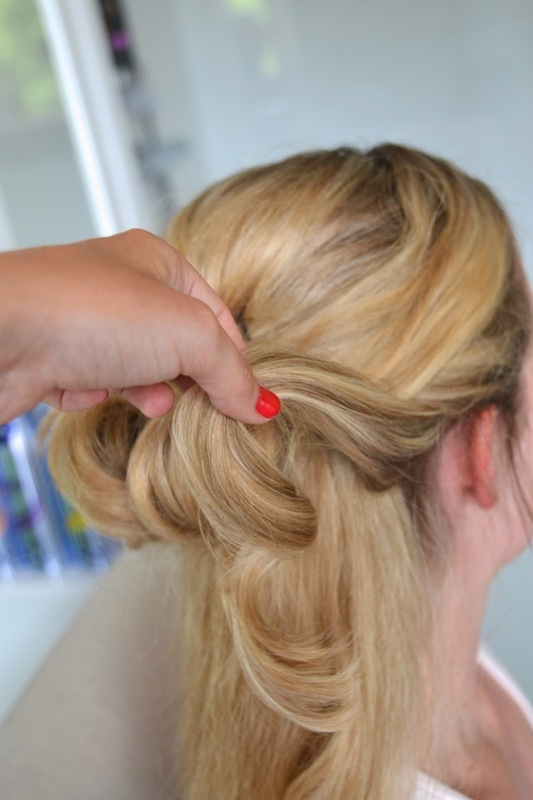 I want to show you an easy bridal updo (it looks really difficult, but it's not!) . I've teamed up with Nivea to show you how I created this look with their latest hairstyling products. You will need a 1 inch curling iron (I'm using my beloved Remington curling iron) , lots of bobby pins, Nivea styling mousse Flexible curls, Nivea Styling spray Diamond gloss, Nivea styling spray strong hold & Nivea styling spray extra strong to finish this look. I used 2 times this amount because my model had quite a lot of hair. Then, Blowdry the hair. Step 2 : tease the top part for more volume , secure with bobbi pins and use Diamond Gloss styling spray to get rid of any flyways. Step 3 : curl sections of hair (about 2 cm) and roll them up. Secure with bobby pins. Start with the sides first. Place them over the bobby pins from step 2 (to hide the bobby pins) . That's it! 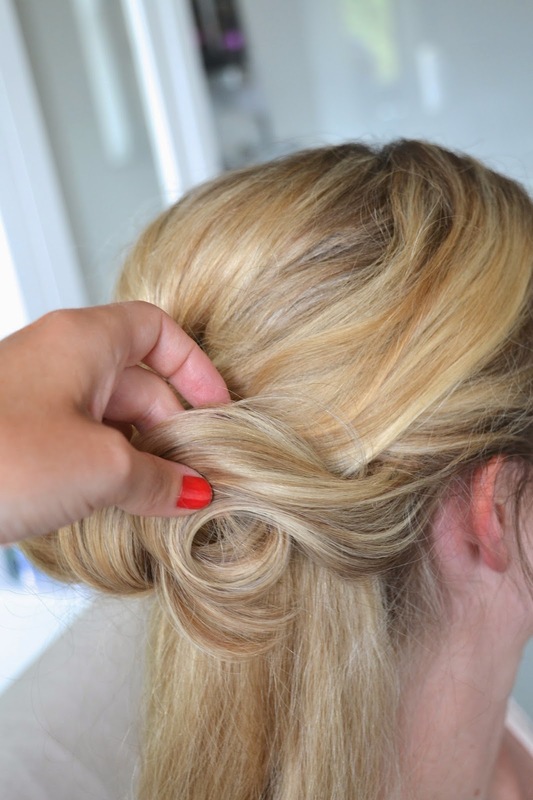 curl & roll each section of hair and place them where it looks the best! Use the Nivea Diamond gloss styling spray to finish off this look! 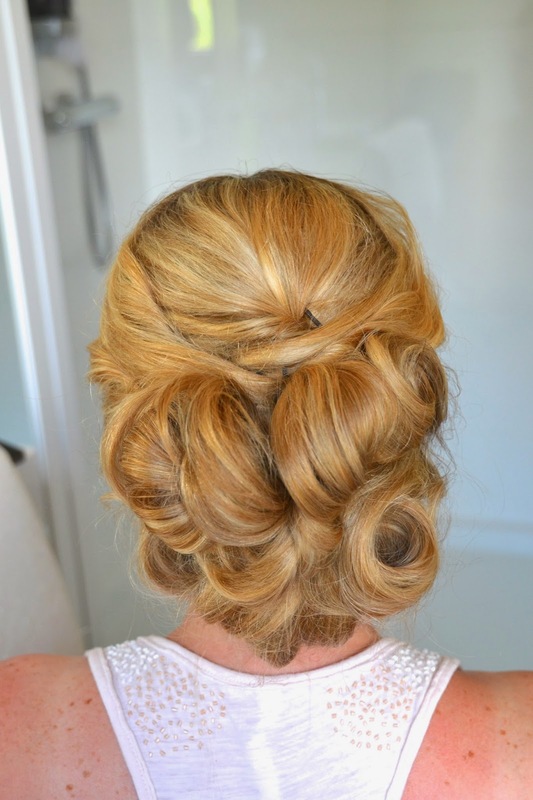 You could also create an half updo if that's more your style. 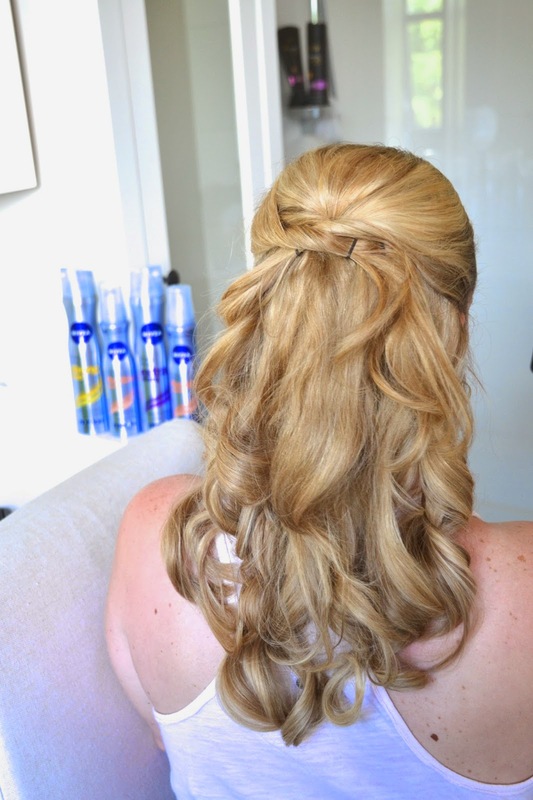 Use the Nivea Strong hold styling spray to make your curls last throughout the day! Make sure to send me your hairdo when you recreated it ! Je moet het zeker eens proberen ! lijkt moeilijker dan het is!